Ema Mamisu is a ceramic atelier and shop that makes original tableware for everyday use. Ema's unreal surname is a disguised wordplay that can be translated as "Ema has a bowl" and I like such wordplays very much! The same applies to their ceramic pieces that apparently take a lot of time to make. 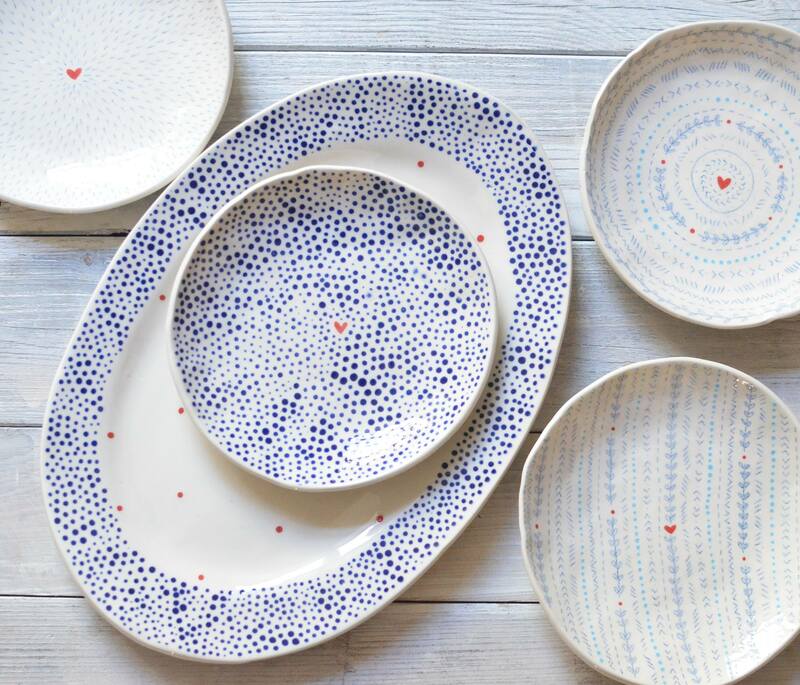 Dotted bowls and mugs, cute mushrooms and branches or fake holes, that don't leak water because of tiny glaze coverage, lovely hearts at the bottom of plates, pastel colors - that is Ema Mamisu. Come to Jana Zajíce street to see Ema's ceramics for yourself and bring home something made locally with a lot of love and hard work!